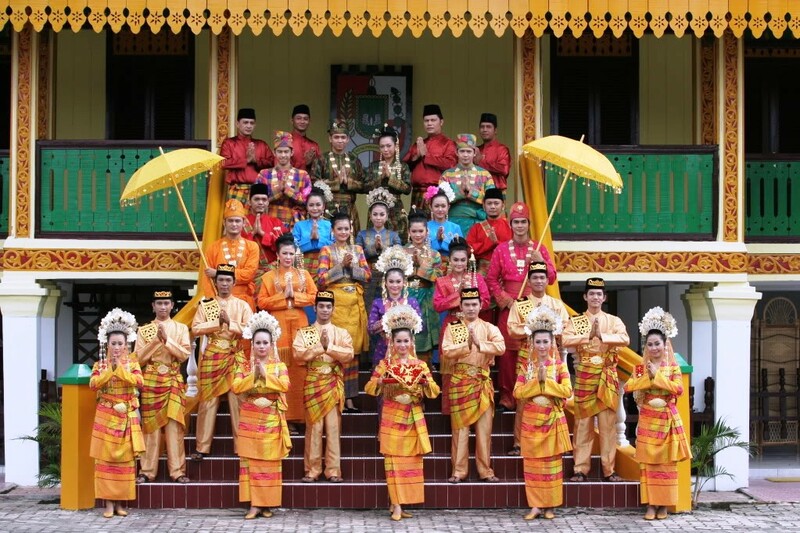 The Melayu Sambas (Sambas Malay) people live along the northern coastline of West Kalimantan Province in various districts of Sambas Regency. These districts are Selakau, Tebas, Sambas, Sejangkung, Teluk Keramat, Paloh and Jawai. In their area, the Sambas people live alongside Dayak and West Kalimantan Chinese people. The Sambas people are the descendents of the inhabitants of the Sambas Kingdom. Their language is quite different from that of the neighboring Melayu Pontianak and Dayak peoples. West Kalimantan is located on the island of Borneo, a fertile and mountainous land shared by three nations: Malaysia, Indonesia and the small country of Brunei Darussalam. The Melayu Sambas live in an area bordering Malaysia. 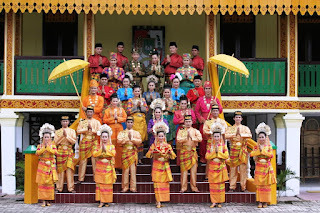 They are considered a people group with a distinct identity largely due to their historical ties to the Sambas Kingdom, which was one of the largest kingdoms in West Kalimantan. The Melayu Sambas are an agrarian people, who depend on the yield of crops from their farmland as well as harvesting of freshwater and saltwater fish. They cultivate rice, coconuts and rubber. Some Melayu Sambas also work as civil servants or traders. Efforts to grow citrus trees have restored agricultural business in the area and yielded substantial crops of fruit. The Selakau orange usually produces a good crop. During the Ramadan month of fasting, the citrus fruit harvest is anxiously awaited by the local community. The land where the Melayu Pontianak live consists of swampy lowlands only 0-100 meters above sea level. This makes it difficult for them to obtain clean water. The road to their area from the city of Pontianak is good enough to allow vehicles to travel up to 100 km per hour, but in some areas, drivers must be careful along large stretches of poor road conditions. Plans exist for developing the Sambas area as plan of a trade zone between Indonesia and Malaysia. However, infrastructure in the area has not yet been sufficiently developed to support such a plan. Two roads, Entikong and Jagoi, already connect West Kalimantan with Sarawak, Malaysia. Entikong Street is a formal border crossing between Indonesia and Malaysia because both nations have immigration offices there that process visas for entry and exit. On the other hand, Jagoi Street, which is closer to the Sambas area, is not yet a formal border crossing, although residents of the area can enter and exit after passing through strict inspections by military units of both nations. The Melayu Sambas are devout followers of Sufi Islam. Syakh Ahmad developed Islam in the Sambas area by adopting the Naqshbandi Order and uniting it with the Qadiriyyah Order of Sufi Islam. In the resulting form of Islam, unique and silent worship creates a balance for the vocal chanting that characterizes the Qadiriyyah Order. The Qadiriyyah Order practices loud vocal chanting while the Naqshbandi Order practices silent forms of chanting. Students of the Qadiriyyah- Naqshbandi Order believe that they can obtain spiritual experiences more easily and quickly by using these practices. Destruction of local mangrove forests is expected to result in erosion of the coastline up to 4-5 kilometers inland, which is already occurring in Jawai and Paloh districts. This needs to be addressed by both the community and the government. Accordingly, information needs to be communicated to the local community about the importance of mangrove forests and the negative effects of their destruction.